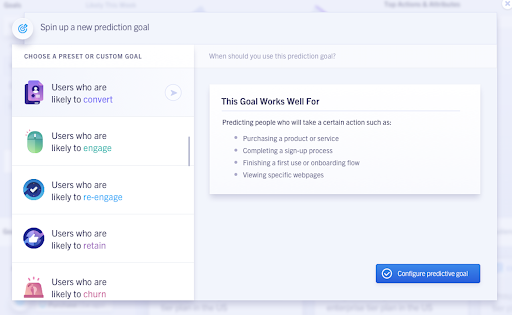 ClearBrain works by importing your users’ attributes and actions on your website and app (clicks, pageviews, screenviews) and uses your past user events to inform the likelihood of a future event. This requires instrumenting your website or app, and sending the historical data from a tag manager or data warehouse to ClearBrain, which will in turn convert that data into a machine learning format. Traditional tag managers enable this via a codeless integration, but require you to wait several weeks to collect enough data to power a predictive model. Connecting to ClearBrain via a data warehouse like Redshift or BigQuery gives you all the necessary historical data, but set up may take a couple days due to heterogeneous schemas. 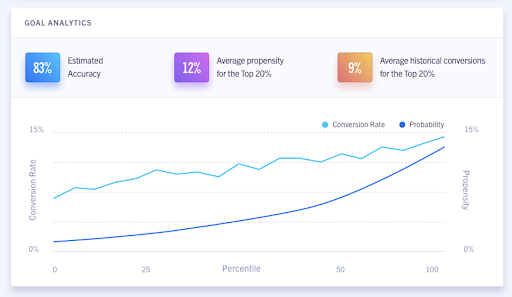 Export your predicted users back into Segment, automatically syncing them to any digital destination to trigger an ad or email when your users reach a high likelihood to convert. Setting up ClearBrain with Segment shortens your onboarding process from weeks to days. Segment provides a standardized schema of attributes and events which can be immediately processed into ClearBrain’s machine learning schema. No customization or additional engineering required. 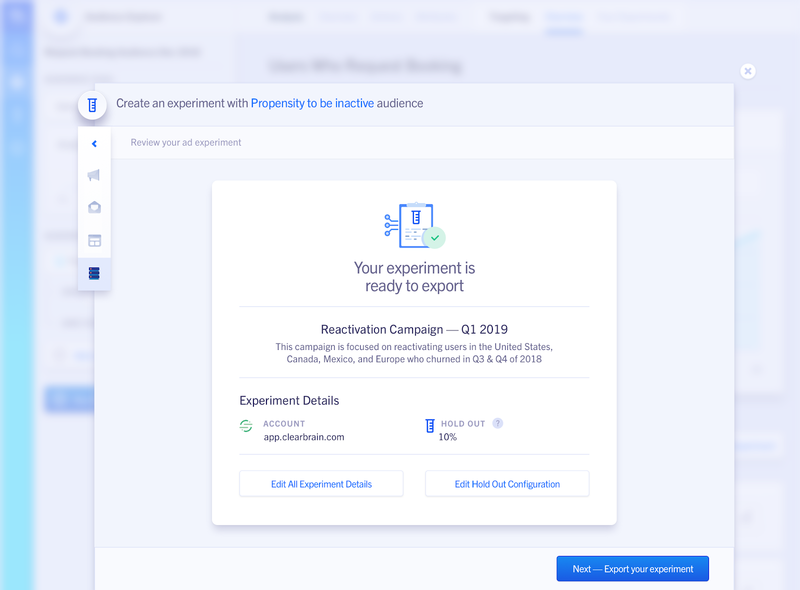 Additionally, using Segment’s historical replay you can import years of behavioral data to ClearBrain in a few hours, enabling you to skip a data collection period and move immediately to insights. Lastly, Segment’s multi-channel sources enable you to automatically sync mobile app and email data to ClearBrain as well, powering cross-channel predictive analytics.